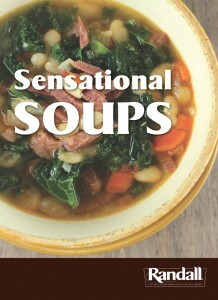 This flavorful bean soup recipe is a great addition to anyone’s healthy eating regimen. Make it ahead and reheat for even better flavor. A fresh herb garden can go a long way in any recipe as shown with this particular recipe. The addition of thyme, bay leaves and parsley give a fresh aroma that makes eating healthy fragrant. Without straying from your diet, this bean soup fills your appetite without filling out your waistline. Chock full of vegetables and spices, this recipe is not only simple, but good for you and filling. In a large pot, mix together olive oil, onion, garlic, celery, and carrots. Heat, stirring to coat the vegetables with oil. Cover the pot, reduce the heat to low and "sweat" the vegetables for 10 minutes. Add the undrained beans, bay leaf, thyme, parsley, salt and chicken stock. Bring to a boil. Reduce heat to low and cook, uncovered, for 30 minutes. Serve hot with a dollop of sour cream and some chopped Spanish onions on top.